Last Date of Apply 20-March-2018. Total numbers of vacancies are Not Mention. 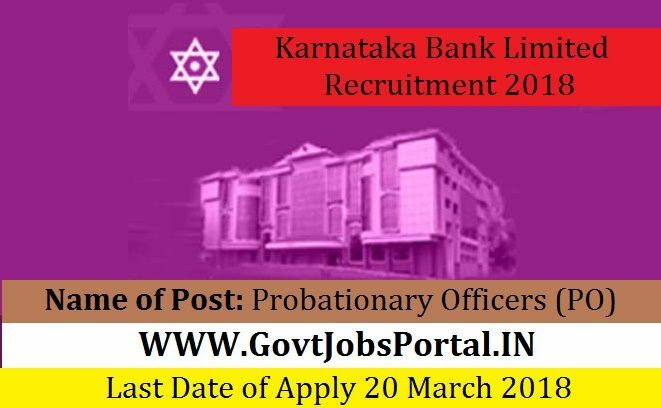 can apply for this Karnataka Bank Limited Recruitment 2018.